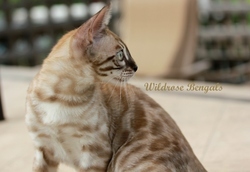 ​Meet Wildrosebengals King of Jewelspride (aka Coco)! Thank you so much to Jessika Meger of Wildrose Bengals in Edmonton, Alberta for this stunning solid mink boy. 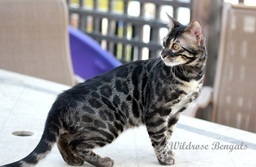 Coco has produced some beautiful kittens for us so far - they can be seen on our Kittens and Past Kittens pages.